The most intelligent inspection of any number of fine paintings will not make the observer a painter, nor will listening to a number of operas make the hearer a musician, but good judges of music and painting may be so formed. Chess differs from these. The intelligent perusal of fine games cannot fail to make the reader a better player and a better judge of the play of others. As mentioned in my previous game post, I'll again start working in commentary on master-level games to my rotation of training analysis. I think it's useful to alternate that with analysis of your own games, at least to some extent. Different lessons can be learned, in part because the overall quality of play tends to be (much) higher. I've found that with master games, often it's analyzing why they didn't play a particular line that is illuminating, in addition to critical turning points in games. The below game is from round 1 of this year's (still currently ongoing) Tata Steel tournament. I selected it because Anand adopts an aggressive setup as Black in the Caro-Kann Exchange Variation that is deliberately designed to cause interesting dynamic and structural imbalances. Essentially Black wants to exchange bishops on f5 and thereby open the g-file, while castling queenside. I find Black's typical ideas to be more straightforward and understandable, although not necessarily easy to execute. The dark-square weakness and White's space on the queenside serve to counterbalance things and engines give White a small plus out of the opening. However, in the middlegame White runs out of productive ideas, then critically weakens his own dark squares, after which Black finds a threat using his advanced doubled f-pawn that White cannot handle. Anand's finish is quite strong and worthy of remembering. Gukesh is unusual in that he doesn't obsess about his results. He plays every game to win. He tries to be flexible in his opening choices and he studies the classics. He is level-headed enough to know that this aggressive maximal approach is going to lead to losses every so often and he can shrug them off. 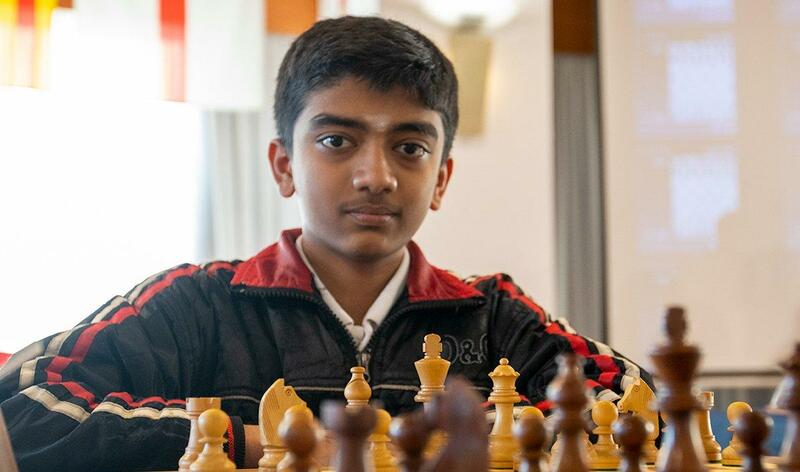 ...His favourite player is the late Bobby Fischer...In his best games, Gukesh concocts a similar blend of classic positional build-ups coupled with sharp tactics. Some 30 years ago, when I was still a boy, I was given some advice by one of the oldest Soviet chess masters, one of Alexander Alekhine's fellow players back in the 1909 St Petersburg Tournament, Pyotr Romanovsky. "If you want to play well," he said, "in the first instance study games. Your own and other peoples'. Examine them from the viewpoint of the middlegame and the endgame, and only then from the viewpoint of the opening. This is more important than studying textbooks." Perhaps such advice is not indisputable, perhaps it will not appeal to everyone, but I accepted and have followed this recommendation all my life. Of course, on becoming a master, and then a grandmaster, I had to make a detailed acquaintance with opening monographs and with endgame guides, but nevertheless the analysis of games still remains for me the most important thing. In this last-round tournament game, my problems (as Black, in a main line Slav) can be initially traced to forgetting my own preparation. On move 7 I start believing (incorrectly) that my opponent has played a significant deviation from theory (and therefore could be "punished" for it). So on move 8 I make a dubious choice. The line isn't necessarily losing - in the notes you can see that GM Bent Larsen even played it (although he lost that game...) - but it gives my opponent a free positional plus, in a rather imbalanced position (White king in the center, but with a defensive pawn mass and half-open g-file to compensate). Unfortunately ratings fear and loathing also seemed to play a part in my decision-making process, to no good end. Despite the favorable position, my opponent shortly gives back the advantage with the loosening 13. f4?! and I aggressively follow up, achieving a tactically winning position by move 19. At this point a calculation error on my part leads to a "safe" choice, which instead of consolidating the winning advantage takes me into a rook and minor piece endgame, only giving me a pawn for my troubles. My opponent plays well after this and my own game deteriorates rapidly, in part no doubt due to the psychological letdown, but also due to my failure to recognize the importance of rook activity (the key to success in rook endgames). Looking back on this tournament, it was generally a disappointment, despite it being the first one where I defeated a Master (and even if only due to a tactical oversight, in Annotated Game #199). My performance continued to plateau in the middle of the Class B rating range and the quality of my play was generally not satisfactory, being too variable. Essentially I was both unable to properly convert advantages (as in this game) and made too many poor decisions that overlooked the strength of my opponents' replies. 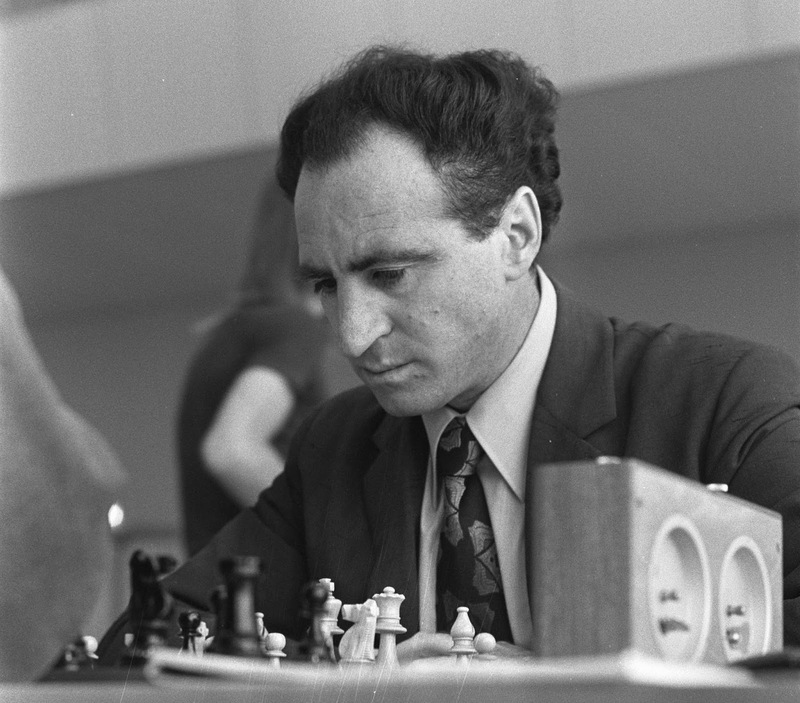 I'll continue the fundamental practice of looking deeper into my own games for lessons, but I also plan to resume providing Commentary games at the Master level, based on matches of particular interest and relevance. The ongoing 2019 Tata Steel tournament has provided some excellent recent examples, plus I have a number of other ones I've been saving for personal analysis over the past year or two. This next tournament game features an interesting struggle in the English, versus a King's Indian Defense (KID) structure. As often happens, White tries to press on the queenside while Black focuses on the kingside. Here, I think both sides neglected the center too much and missed better opportunities, so that is a useful general lesson to take away. The key strategic turning point occurred around moves 19-21, where Black makes his initial kingside push. I only considered the idea of pushing g4 too late, when it was forced, and did not consider the full ramifications of Black's strong Nf5. For me, it is a good example of how tactical threats and strategic considerations can intersect and determine the course of a game.